Can’t get in your wine? Screw it. 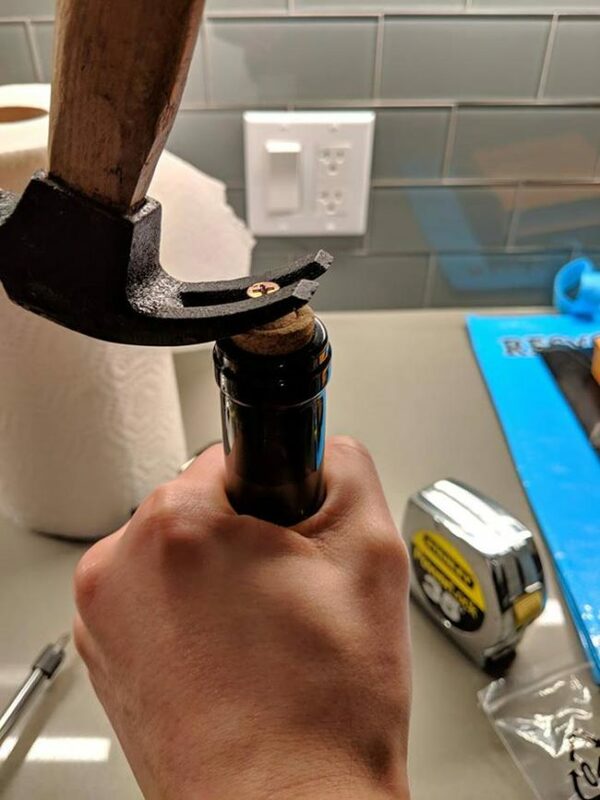 thank goodness for wine bottles with screw tops – no need for hacks like this ! Haven’t you worked up to boxed wine by now? It’s got a spigot! You could just lay under it!